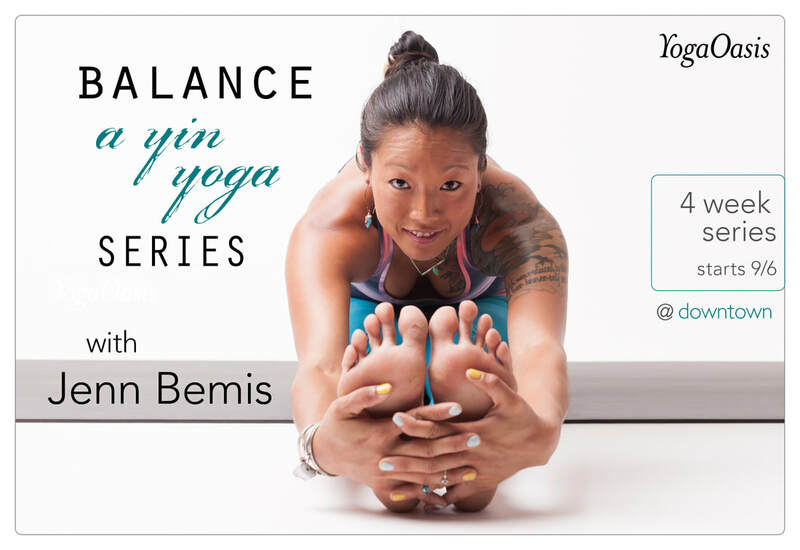 In order to obtain suppleness and elasticity in our bodies, we must balance out the yin and yang practice. The yang practice is active and invigorating, requiring muscular action and engagement; the yin practice, on the other hand, focuses on stretching the connective tissue (fascia) around the joints by relaxing the muscles in passive poses. Yin yoga tends to be a calming and cooling practice because prop-supported, passive poses are held for longer periods—perfect for summer. Come stretch, cool down, and restore balance.